Connection of distributed generation is regulated by the Electricity Industry Participation Code 2010, Part 6. The following documents are Network Waitaki standards for customers wishing to connect distributed generation to Network Waitaki. Further information on distributed generation and the Electricity Industry Participation Code, Part 6, Connection of Distributed Generation are available on the Electricity Authority’s website at www.ea.govt.nz. Click here for a list of inverters approved for use on NWL's electricity network. Network Waitaki encourages a zero emissions future. 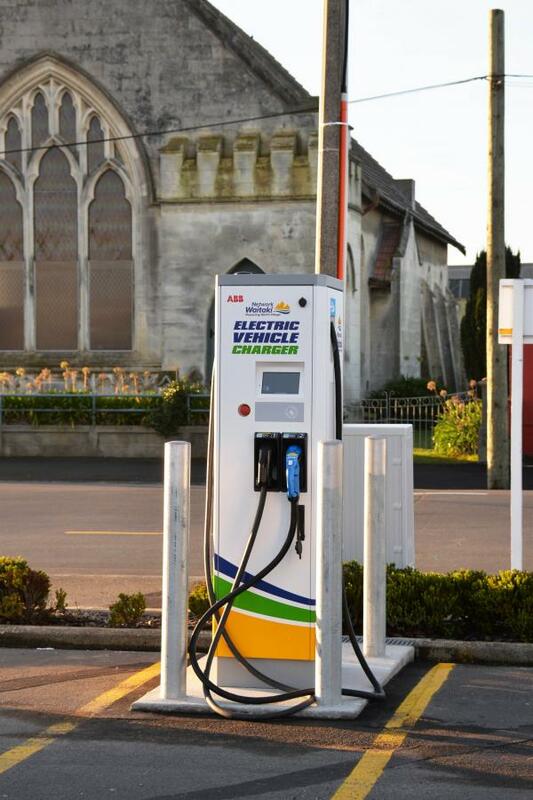 We are in the process of installing four public fast-charging electric vehicle stations throughout North Otago, namely in Oamaru, Omarama, Kurow and Hampden. Please contact us at 0800 440 220 if you have any questions regarding our charging stations. Our chargers are 50kW DC fast chargers. There are two Electric Vehicle car parks at each station, and they are fitted with CHAdeMO and CCS Type 2 plugs. They are available 24 hours a day. There is currently no charging cost. Our chargers are listed on www.plugshare.com.